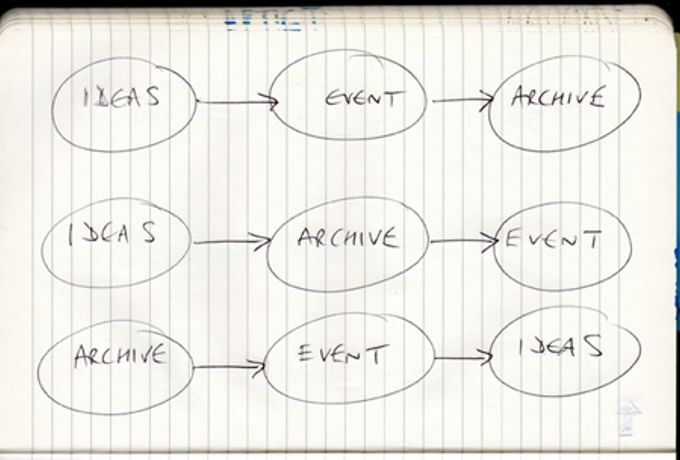 AUTO-ARCHIVE: A research exhibition in four parts. Lionel Dobie Project (Manchester) and Curatorial TIMESHARE (London) present a new project by Toby Huddlestone, featuring Vito Acconci, Bas Jan Ader, Robert Barry, Dan Graham, On Kawara, John Latham, Peter Liversidge, Raimundas MalaŠ ¡auskas, Jonathan Monk, Gianni Motti, Bruce Nauman, PostDocument and more... AUTO-ARCHIVE shifts the archive from a post-event medium, to a structure that predicts and predetermines the outcome of an event. It is a research project comprising presentation, discussion, exhibition, publication and review engaged with artworks that seem to archive their future outcome. Through their conceptual structure, each artwork attempts to predetermine their own outcome in some way - they set the parameters necessary in order to preempt what will be archived of them, thus providing a commentary into the future. Huddlestone's AUTO-ARCHIVE focuses on shifting the archive from a post-event medium, to a structure that predicts and predetermines the outcome of a project. The âarchival' is continually re-used by artists in order to apply, re-apply, present and frame older work in order to (re)contextualise their practice and gain opportunities: learning what was has gone before in order to generate what will come (futurology). With the increase amount of independent curators, writers and researchers over the past 20 years or so, the archival is now being utilised more than ever before in framing curatorial practice, as it now stands as an increasingly recognised form of artistic practice. 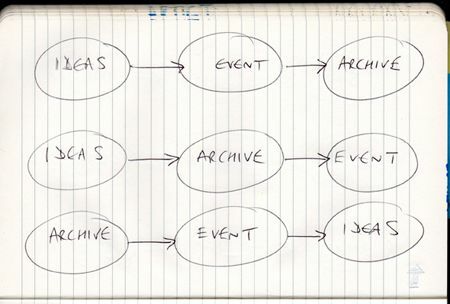 Before this, organisations would archive exhibitions and projects in a fashion akin to history books. This is what we did and here it is in print - the end. Contemporary curating has redefined the archive and brought it into line with how artists use documentation of previous work. The archive is now being used as a research tool, an instigator, a post-modern signifier - a site where the past is up-heaved by the present, only to be made into the past again. It has become embedded into the plethora of practices we see today running through contemporary art. This, along with an oversaturation of the personal archive through the mechanisms of contemporary communication through the Internet (social networking), has lead us to reconsider the archive - in one sense, it is the most useful tool for seeing past examples of how things have been, in another, it is too vast and complex to make any sense of.